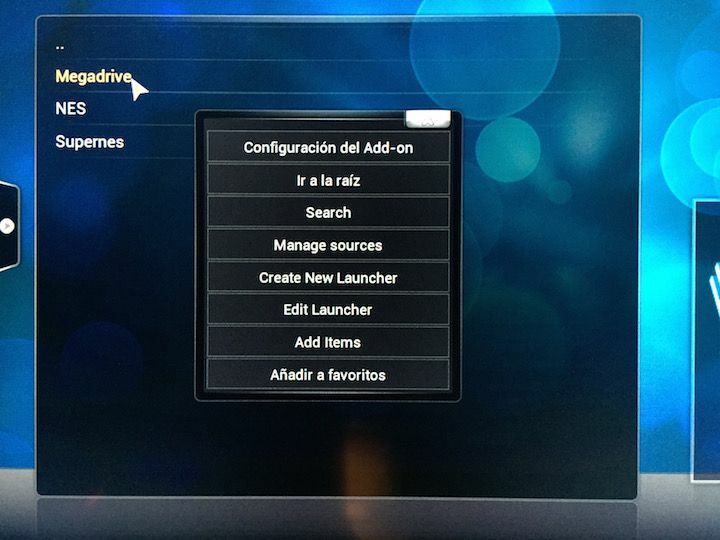 HOWTO play emulators on OpenELEC for the raspberry Pi! Time ago we saw a first attempt and was only a matter of time before someone would improve the system to use emulators on this distro. I have always advocated for its stability and speed against their adversaries. Now bring us the opportunity to finish watching a movie and playing Hellfire from the Genesis Megadrive (my favorite game). 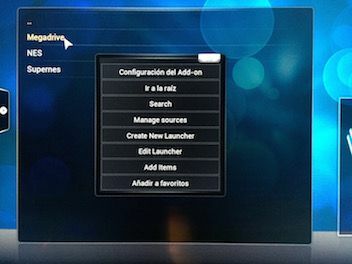 We'll use a SSH conection to our OpenELEC distribution. SSH must be enabled. You can check it on SYSTEM > OpenELEC > Services. 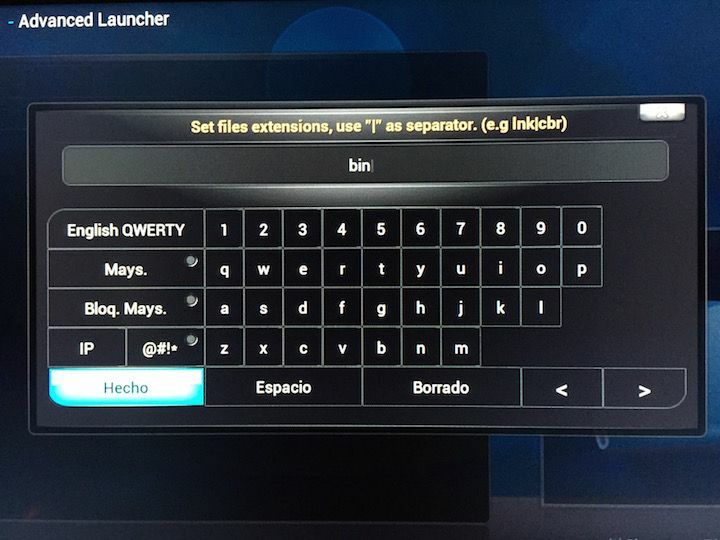 The user is root and password openelec. We need to install the Addon and run some commands in the terminal. My tests have been in the latest version of OpenELEC Kodi, which at the time of writing this article is the version 5.0. We need also activate the option Show hidden files and folders inside Settings > Appearance > File List. 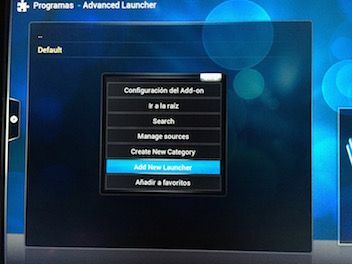 Come back to OpenELEC and choose in the main menu Programs > Add-ons > Get more... > Advanced Launcher and press the Install button. 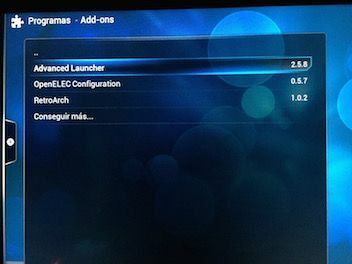 Add New Launcher. Press to zoom. 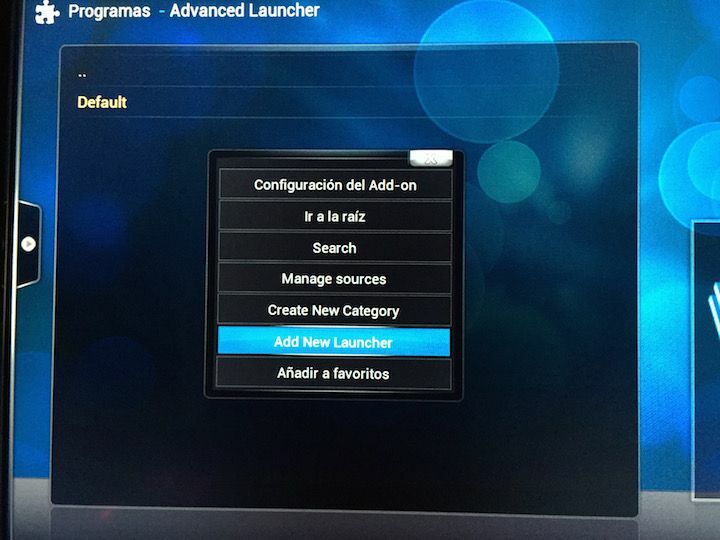 Create New Launcher. Press to zoom. Script Path. Press to zoom. 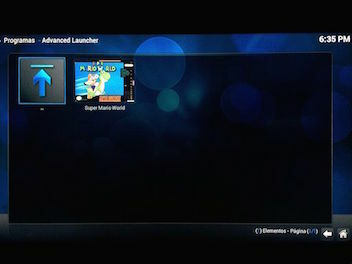 2) Select files path: We indicate the path of the ROMS: Home folder/emulators/roms/. 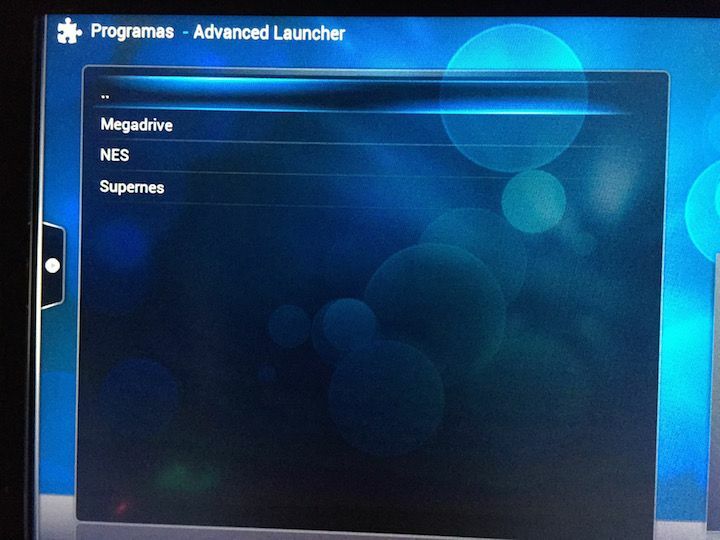 3) Now the ROMs extension, for Genesis Megadrive is bin. ROMs extension. Press to zoom. 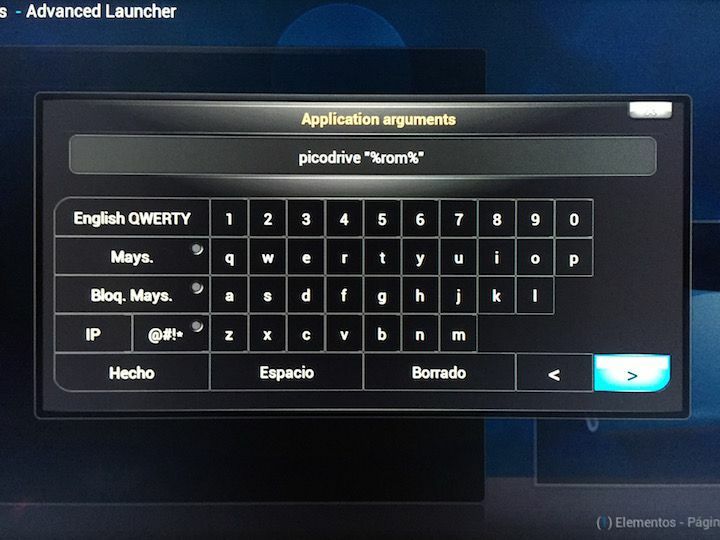 4) Application arguments we type: picodrive "%rom%" (or the name of the emulator you want to launch to the file extension. You can see list of supported platforms on the top of the post). Emulator's name. Press to zoom. 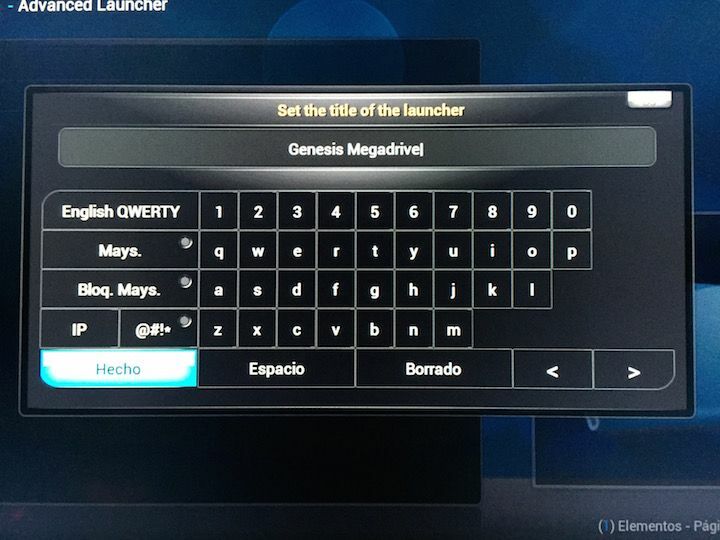 5) Launcher title, I typed Megadrive. 6) The platform, choose Sega Genesis from the list. 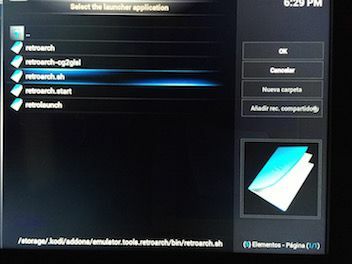 7) (OPTIONAL) I put fanart and thubnails inside /storage/emulators/advancedlauncher.You should then copy .jpg images inside that folder and add them manually pressing right mouse button on each game. Repeat these steps for each emulator you want to have. Now we add ROMS clicking on each emulator, right mouse button and select Add Items. Add Items. Press to zoom. From now you can play your favorite emulators with hardware acceleration at 60 fps!. 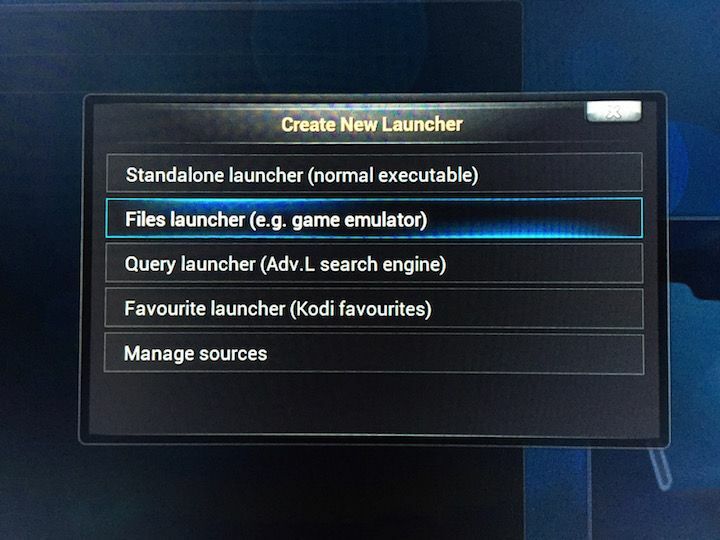 Advanced Launcher with preconfigured emulators. Press to zoom. To copy the ROMS, we can activate SAMBA protocol and copy from our Desktop computer. 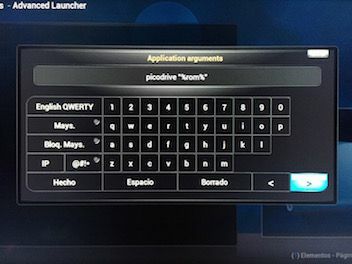 When playing, press F1 to enter the options menu of the emulator, and to select an option, press the key X, to return to the previous menu, Z. Press ESC to exit the game. You can add more emulators. Go to project lakkatv where you will find binaries, although I have not tried this method commented on the forum, where you can also found Amstrad, Amiga or ScummVM binaries.